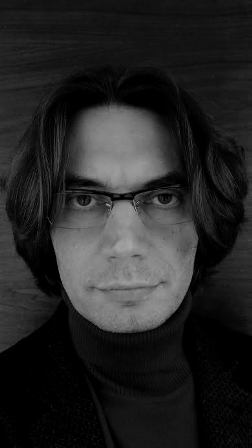 I was born in Poznań on 10 October 1976. As a child I was a singer in the Poznań Cathedral Choir. I was a soprano and a soloist in this choir. When I was a secondary school student and a law student I studied playing the electric guitar all by myself. Then I composed a lot of pieces in the stylistics of progressive metal. After completing the legal studies I tried to combine progressive metal music with classical music. Then I composed a few pieces for a metal band and a symphonic orchestra. One of these was performed in Adam Mickiewicz University Hall in 2004. My closer contact with classical music made me start learning music in a school of music. I began this education in Frederic Chopin State School of Music in Poznań in 2001. I learnt playing the double bass. I finished this school in 2005. During that time I was also studying law (doctoral studies). In 2015 I received the title of professor (Titular Professor). In 2015 RecArt (a music recording and publishing company) released my first album About love, containing 14 piano miniatures performed by a Polish pianist Grzegorz Rudny. In 2016 RecArt released my second album Stories, containing 12 piano miniatures performed by Grzegorz Rudny.